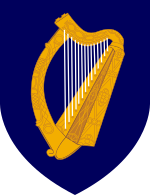 In this WebQuest you can learn many facts about Ireland. It is recommended to do the exercises in the correct order. You can, however, change the order personnally. But take care to work on the right quizzes. Stay focussed and take down notes carefully. At the end of every page there are hints for the exercises. If you encounter any difficulties, use them step by step to finish the exercise on your own. The last hint is the complete solution. Here can you check, if everything is correct. If you just copy the solution, you won't have the chance to get better! Diese Seite wurde zuletzt am 17. November 2018 um 04:56 Uhr bearbeitet.